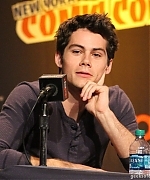 Credit to GeeksofDoom.com, I’ve added some pictures of Dylan from the New York Comic-Con on October 12th! Thanks a lot to TeenWolfDaily.com, I’ve added another three pictures from Comic-Con during the summer! Dylan O’Brien Lands in NYC for Comic-Con! Dylan O’Brien gives a thumbs up after touching down at JFK International Airport on Thursday night (October 10) in New York City. 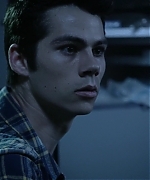 The 22-year-old actor is in town to attend the Teen Wolf panel at 2013 New York Comic-Con on Saturday, October 12th. 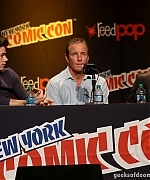 It was announced earlier this month that Dylan will be joined at the panel by the show’s creator Jeff Davis, as well as his on-screen dad, Linden Ashby. Dylan‘s latest flick, The Internship, is now available on DVD and Blu-ray. Be sure to pick your copy up ASAP! I have replaced the photoshoot Dylan did at Comic Con with untagged ones! Enjoy! 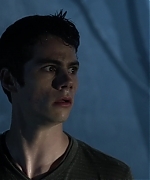 I hope you all enjoyed the mid-season finale of Teen Wolf yesterday! I can’t wait for January! I have added 4 episode stills and HD screencaptures from the episode to the gallery! 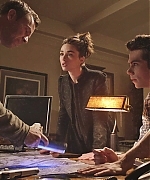 I have added 4 episode stills from last night’s episode of Teen Wolf, “Alpha Pact!” Check them out in the gallery! I’ll add screencaptures as soon as I can! A new Dylan shoot released! Sorry that they are tagged. Hopefully we can get these untagged! For now, check these out in the gallery! 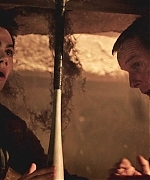 Added 3 stills from the Teen Wolf episode The Overlooked to the gallery!